We’re always looking for ways to showcase aspects of the extraordinary collections. In 2017 we introduced a series of free curator-led talks to highlight what's special about Waddesdon. 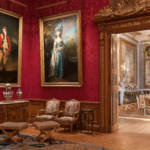 The curatorial team at Waddesdon have different responsibilities – such as paintings, decorative arts, furniture and porcelain, metalwork, books and even the building itself, and we are all interested in the history of collecting and of course in Waddesdon and the history of the Rothschild family. These talks are an opportunity for our specialist curators to share their expertise, which might be focussed on an exhibition, publishing project or simply cataloguing research into an area of the collections, and will range across all subjects, and include collections in store and not usually on display, contemporary art and conservation projects. This season, you can explore the Smoking Room, just as Baron Ferdinand’s guests would have done, the setting for what he called his “Renaissance Museum”, full of 16th and 17th-century treasures from carved rock crystal and ivory to enamels, jewellery and silver-gilt standing cups. 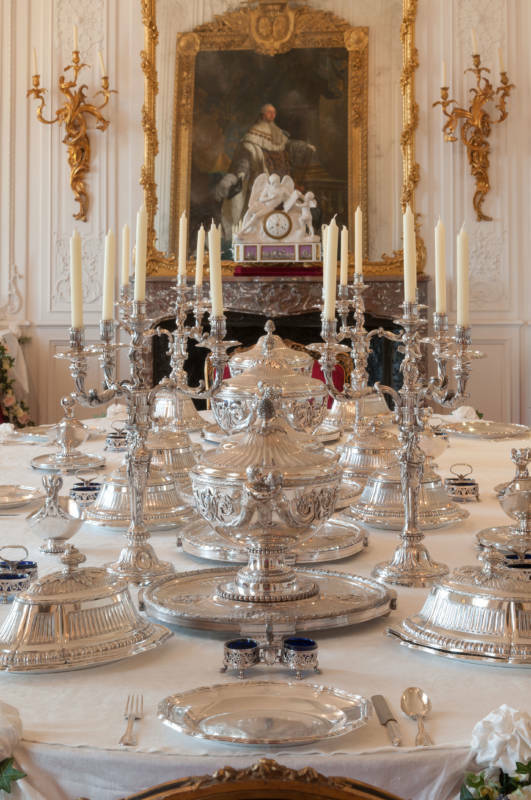 You can imagine dining like a King as you learn about the magnificent silver dinner service commissioned in Paris by George III in 1774, and the way it reflects changing fashions, or take a rare opportunity to see the intricate bindings of the 17th and 18th-century books in the Morning Room, one of the finest collections of such objects in the world, and find out about the illustrious people to whom they once belonged. There is a meeting with the beautiful Duchess of Cumberland, who bewitched all of London, and had what Horace Walpole described as “the most amorous eyes in the world”. You can learn about Sèvres porcelain, prized as highly as silver in the 18th-century for the complexity of its manufacture and artistic brilliance, or have a close encounter with a clock with a difference, mechanically superb and with a case by one of the finest furniture makers in 18th-century France. What’s Special about…. talks will take place May to October, 2017 at 2.30pm in the House. Eighteenth-century cartel clock attributed to Charles Cressent, 1725-1750. 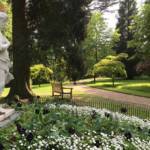 Waddesdon (National Trust). The talks last 45 minutes and are free with House and Grounds tickets but advance booking is recommended which you can do by calling 01296 820414 or by emailing [email protected] You can also join on the day if there are still places available, just ask at the Welcome Pavilion when you arrive.